The 140th Kentucky Derby race is tomorrow May 3! 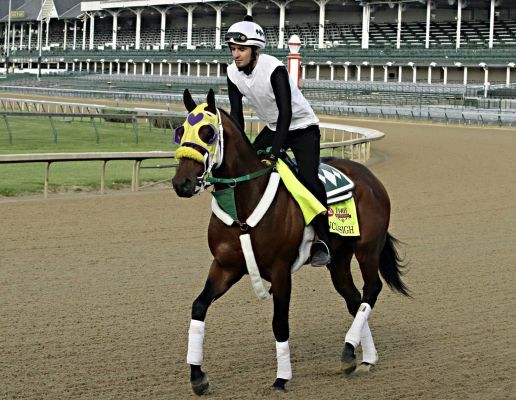 This famous horse race takes place at Churchill Downs and lasts for only a couple minutes. The winning horse is guaranteed at least $2 million. Post time is 6:24 pm EST, but coverage begins at 4 for you to enjoy on NBC. The Kentucky Derby is the first of the three Triple Crown races, with the Preakness and Belmont stakes following soon after. It has been 36 years since the last TC winner – Affirmed in 1978. 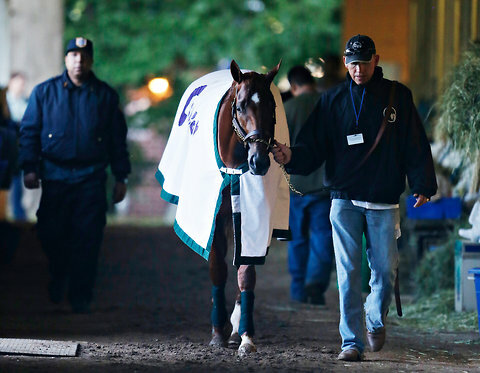 Will we see a Triple Crown winner this year? It is very early to say, so lets take a look at some of this years best KD contenders. 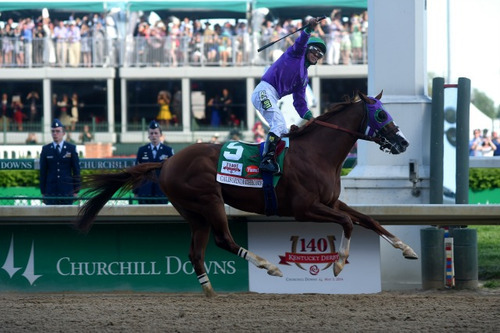 California Chrome is the horse to beat this Derby! He is the favorite, and it is reportedly his race to lose. He has won his last four races by a combined total margin of 24 lengths. His odds are doing so well now that if he goes to race with them he will be the biggest favorite to win a derby since Big Brown in 2008. He is an impressive animal, with strength to go and hopefully strength to finish this long and fast paced race. His jockey is Victor Espinoza, who won the Derby in 2002 on War Emblem. He also drew a perfect starting position at position 5. 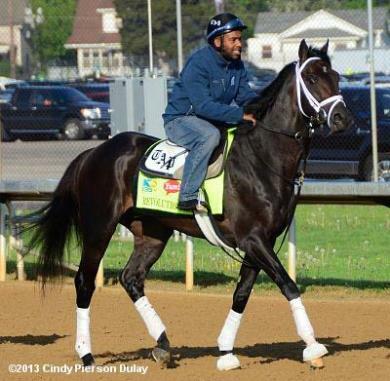 Of course, rarely does a favorite actually win the Derby and moreover it is his first race outside of California. 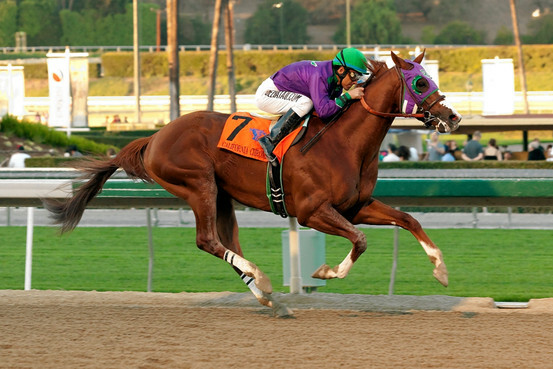 How will California Chrome run in Kentucky? 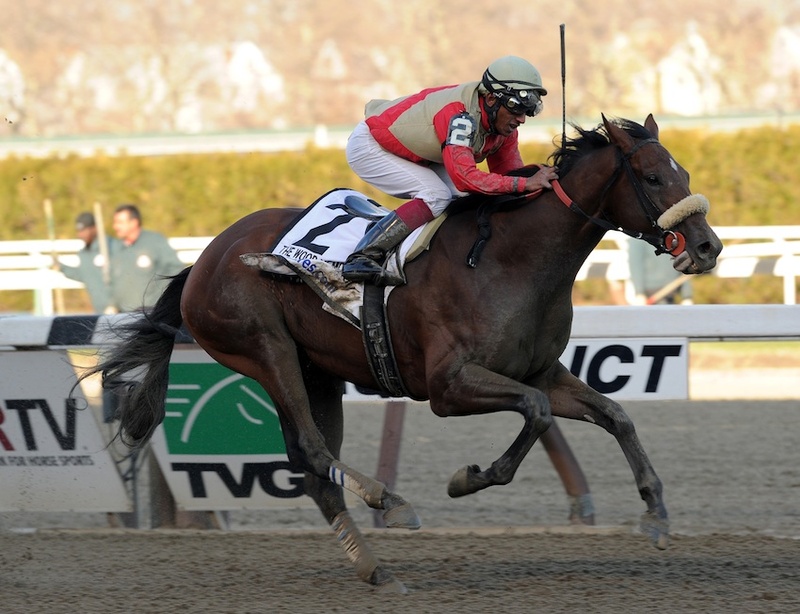 Wicked Strong comes from Boston and was named in the wake of the Boston Marathon bombing. The name Boston Strong was already taken, so this little guy received the appropriate Wicked Strong. If he wins, his owners will donate 5% of his winnings to The One Fund (which helps those affected by the bombing). What gives him a good chance at the Derby? His last race at the Wood Memorial was a sort of come from behind win, giving him a reputation for being able to rally at the end. Will the spirit and strength of Boston, and some come from behind speed, be the ticket to win this year? I do hope he places well! Danza is the winner of the Arkansas Derby creating quite a buzz for his chances at winning the Derby. Danza entered that race with 40-1 odds because it was the first time he ever ran over 7/8 of a mile and he had spent a few months recovering from a knee injury. He stayed in the leading pack the entire race and pulled off a 4 3/4 lengths win. He is a sprinter, muscular and tough. And yes, he is named after Tony Danza who tweeted with excitement about the horse’s win in Arkansas and plans to attend the Derby. Given such a strong recent performance, and how well he is training at the moment, he is a possible favorite to win. Intense Holiday also has very good odds to win this year. He has eight races before this one, impressive given how little many of these horses run before this race. He is good when he has to work to win, keeping back a bit and then making the effort towards the end. He has placed well in his last three races. And while not truly exemplary, his stamina and strength may be just is called for tomorrow. Samraat has had an impressive 6 races, coming in second only once to Wicked Strong. He can go the distance, winning even as he raced longer and harder races. He can pace well, and fight well. 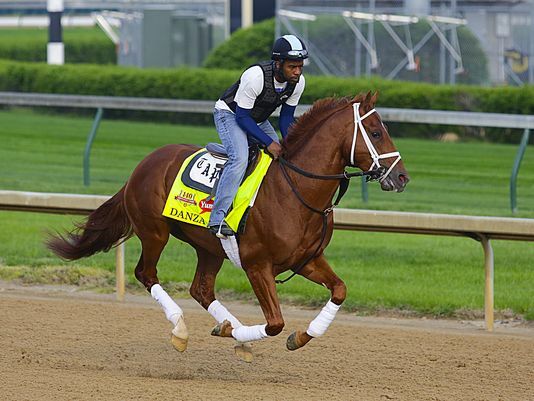 He could be a good contender to take the win tomorrow from the more favored California Chrome. Yes, Uncle Sigh is named after Uncle Si on the show Duck Dynasty. Love Uncle Si! So crazy to listen to, the uncle you always wanted to have. Anyways, his name is not spelled correctly because his owner did not want to go through everything you need to do to get the permission to use a living person’s name. Uncle Sigh has not been unimpressive in his races, but he did not place well in the last race he ran because he did not get a great start and was forced to run wide. For the Derby he will be in position 3, so he might actually have a very good chance to run the race the way he excels. Could Crazy Uncle Sigh win this Derby? Watch the Kentucky Derby tomorrow on NBC! I just learned today that the horse Blanco, who played Shadowfax in the Lord of the Rings, passed away. Blanco was a beautiful horse, spirited and willing, truly worthy of the role as Shadowfax the Lord of Horses. If you have never seen LOTR, Shadowfax is the stunning white horse which Gandalf rides. The books describe him as a silvery-grey horse that is the Lord of all Horses, capable of understanding human speech. He was incredibly fast and strong, but so spirited that he could never truly be tamed by men. He was owned by the Lord of Rohan, and eventually given to Gandalf who bonds with the animal and is able to ride him. It is due to Shadowfax’s strength and speed that Gandalf is able to make it to many places in time and through many battles. It is believed that Shadowfax goes with Gandalf across the Sea and into the West. Over the past few months, my equine friend, partner, teacher and guide ‘Blanco’ – known around the world for his staring role as Shadowfax in the Lord of The Rings movies – suddenly and without warning fell critically ill. During this time, he required an array of urgent medical care and a lengthy stay in a horse hospital. A battery of tests were performed which pointed to inconclusive, but none-the-less extremely serious issues with his intestinal tract and liver. To my dismay, this left the exact nature of his illness, as well as the best method of treatment, an illusive guess at best. As a result, a host of supportive therapies – from conventional to alternative – were provided, in addition, to an outpouring of healing energy, prayers and blessings that came in from his fans and supporters all over the world. While Blanco was in the hospital, my family and I visited him daily, so he would continue to know that he was loved and supported even though he was away from home. Some days, he was distant – a physical shell devoid of the opinionated Blanco I’ve known so well. Other days he would rally as soon as he heard my whistle from afar. On those days we’d go on short walks together, allowing for scratches, hugs and a few nibbles of the green grass on the hospital’s lawn. One day in particular toward the end of his hospital stay, Blanco returned to his old enthusiastic self, demonstrated by an alert ‘head’s up’ and a loud and joyful whinny to see me. After the hospital staff disconnected him from the IV, he snacked on carrots I’d brought him from home and we went for a long walk around the hospital grounds, even doing a little trotting in unison. When we arrived back at his stall, I told him if he continued to feel better, that we planned to bring him home the following day to continue his rehabilitation there. Early the next morning, I received a call from one of the many vets overseeing Blanco’s case, informing me that he had taken a turn for the worse overnight and that I should come to the hospital right away. When I approached Blanco’s stall, he was in an obvious state of shut-down and distress – a situation I know well from recent experience with my own life-threatening illness. So, after stepping into his stall, I laid my head on his back and placed my hand over his heart for a few moments of meditative connection. Then, while kneeling down by his side, I asked Blanco if it was his ‘time’. Without a second of hesitation, he turned his head to me, looked me straight in the eye and at that moment, I knew he was ready. While the decision was made to help Blanco transition, due to safety concerns the hospital had a strict policy of not allowing non-staff to be present during euthanasia. This was something I was simply unwilling to accept, as I knew my duty to to Blanco and our extraordinary relationship would not be complete without being able to be present to support him during this final leg of his earthly journey. Instead of allowing him to be taken away to an isolated room to die with strangers, they agreed to euthanize him in his stall and allow me to be by his side – as long as I could persuade him to lay down on his own. Although it took several tries and lots of encouragement due to his severely weakened state, Blanco gave me the gift by laying down for me one last time in response to my gentle request. Although my heart was breaking, as my final gift to him, I stayed strong, balanced and focused, gently repeating, “Relax Blanco. Let go. Walk into the light. Relax and let go” as the Blanco I’ve known so well and loved so deeply slipped away. While this leg of Blanco’s journey has passed and my heart still aches, I will live in peace knowing we gave our all to aid in his recovery. We spared no effort nor expense, even though doing so in conjunction with the on-going expenses of my own health challenges has placed an additional financial burden on my family. So, if seeing Blanco in the movies or in one of our many videos, clinics or appearances has touched your heart or inspired you in any way, I invite you to make a donation in memory of Blanco that will help us pay for his extensive medical care. In doing so, your show of support will mean Blanco’s message that we have love and compassion not only toward our horses, but with each other, will truly come full circle. Vet care for horses is very expensive. If you feel so called, you can help donate to Blanco’s medical fund here. Goodbye Blanco! We here at FT miss you! 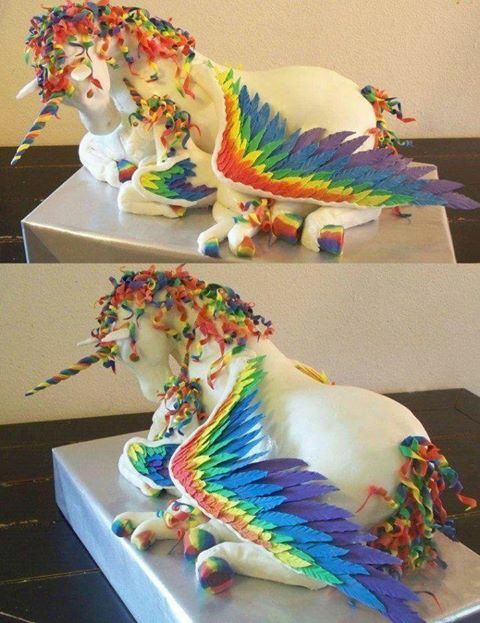 I have seen some beautiful cakes, but the level of detail on this rainbow unicorn cake is almost unbelievable! I wish I knew who the baker was, and what they used to make the main, tail, feathers. If someone make this cake for me I would not want to eat it because it looks so awesome. 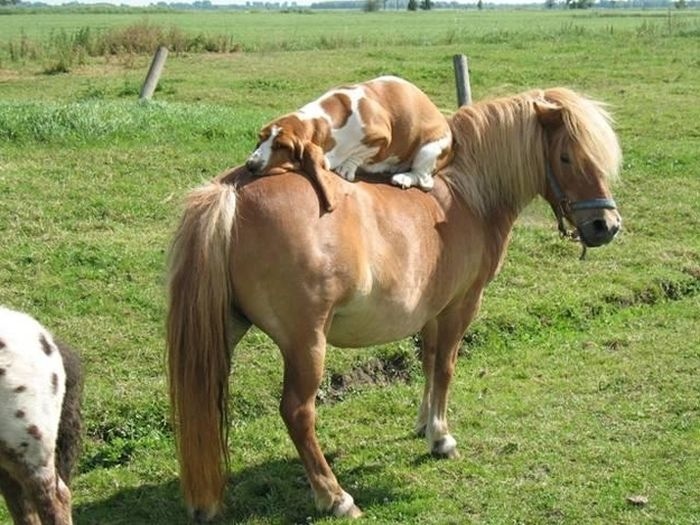 I have no idea how the dog on the pony, or how it is a good place to nap, but this photo is amazing! 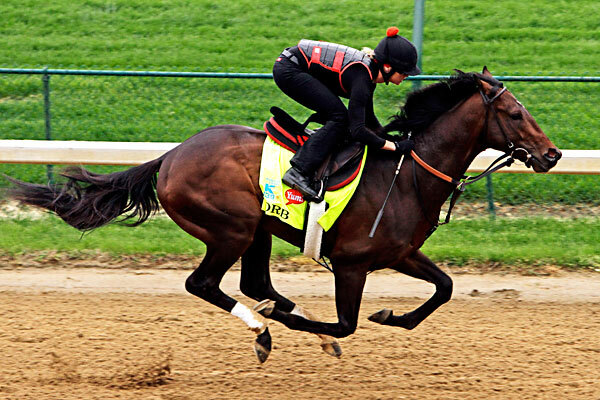 Orb wins the 139th Kentucky Derby! Orb’s win today was impressive! He had to deal with the very muddy track and he remained far back in the pack until coming from behind at the end to win. Golden Soul came in second, followed by Revolutionary, and Normandy Invasion finished finished fourth. The 139th Kentucky Derby is tomorrow, May 4th, at Churchill Downs! 20 horses are allowed in the race, with 21 having applied and qualified this year. However, only 19 horses will race in the Derby tomorrow. Black Onyx was scratched from the race with a bone chip this morning, and while the horse Fear the Kitten was wait listed to race in the place of a scratched opponent the decision came after the 9 am deadline for adding the additional horse. Who are some of the top contending horses this year? Orb pulled out of all the horses as the favorite, being on a four race winning streak. He was purchased for only $50,000 and has already won close to $1 million. Orb drew the 16th post out of 20 horses, which places him in the overflow starting gate but is actually a good position to start from. Four horses have won from the 16th post, the most recent being Animal Kingdom two years ago. You can read more about Orb at ESPN. Verrazano is in a close second for favorite for the race tomorrow, and has a very good chance of winning. Verrazano is 4 for 4, unbeaten in his racing career. He will break from post 14, very close to Orb but from the actual (rather than auxiliary) starting gate. He never ran as a 2 year old, and if he won would only be the second winner of the Derby ever to claim that after Apollo in 1882. 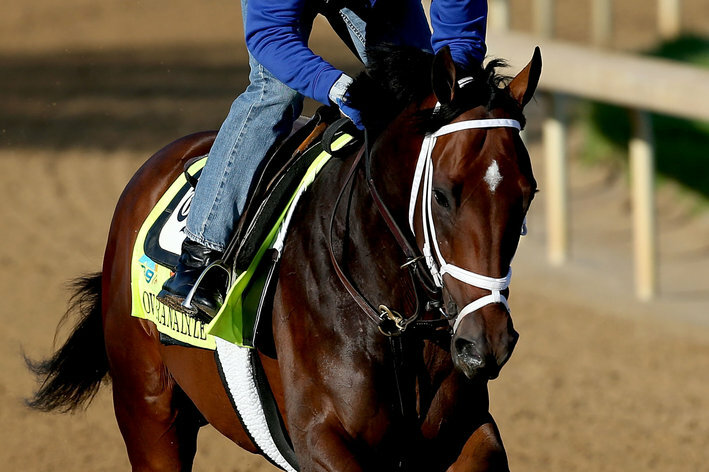 Will he have the stamina to win without the benefits of a few more races and more months of training that most of the other contenders have had? Overanalyze is owned by Mike Repole who’s company created Vitamin Water (sold to Coke-a-Cola in 2007). This horse has shown good versatility in running style for the length of this race, but has been sort of inconsistent in previous races. But with the wins he has pulled off recently he might just have what it takes to win the Derby. 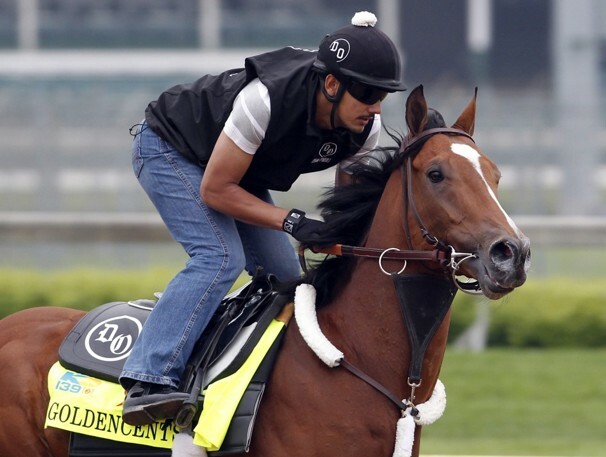 Goldencents is a horse to watch not only for his ability to win, but for what that win would mean for his owner and trainer. Goldencents is owned by Rick Pitino, the University of Louisville basketball coach who just won the national championship. A win in the Derby coupled with that win would be unprecedented. The trainer, Doug O’Neill won the Derby last year with horse I’ll Have Another. To have this horse win the Derby for a second year would more than prove O’Neill’s horse skills. About that ability to win? Goldencents has shown as much skill as the other major contenders and has only been getting faster as he runs longer races. He has a fast start, but has also shown an ability to pick up speed later in the race. It is unknown whether he can last such a distance as this race, but we won’t know until he tries. Revolutionary has won three consecutive races, and his odds are fairly good for this race. 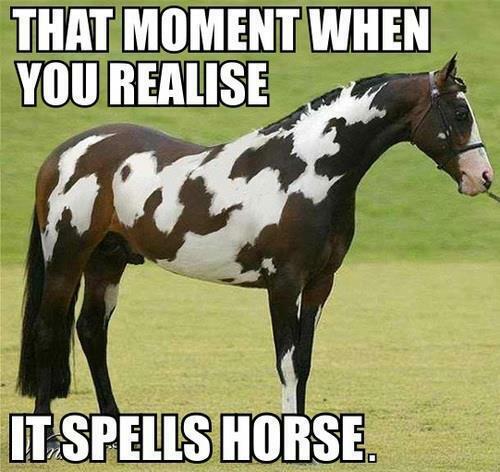 The most outstanding factor for this horse? Why his jockey, of course. Calvin Borel rides Revolutionary, and he has won the Kentucky Derby three times! Borel is one of the most decorated jockeys in the history of horse racing, and much of that success has only happened in the past 6 years aboard a few different horses. Given Borel’s record for handling horses, Revolutionary has a really good chance given his and his jockey’s skills. Will that be enough? 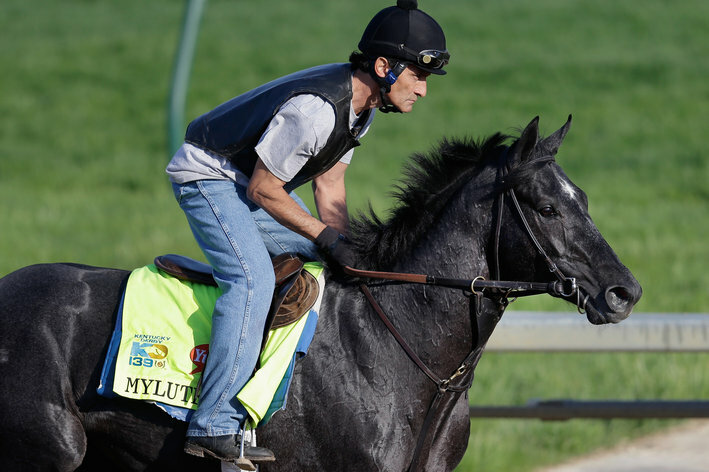 While Mylute has not won a graded stakes race, he managed to qualify for the Derby. His full potential is unknown and he might just have the sprinting speed to win. 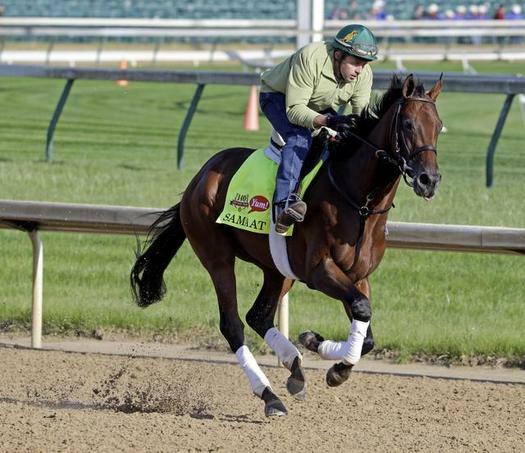 He also has a female jockey, Rosie Napravnik, who is the only female jockey running this year and a win would be the first for a female jockey ever at the Derby. Watch the Derby tomorrow from 4 to 7 pm on NBC and I will post the results when available. 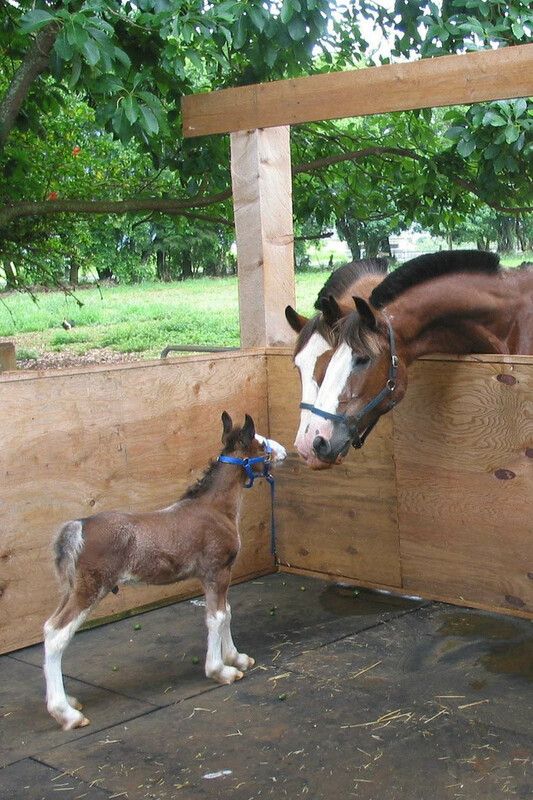 This Clydesdale foal looks so inquisitive, and the manes on the adults are awesome! 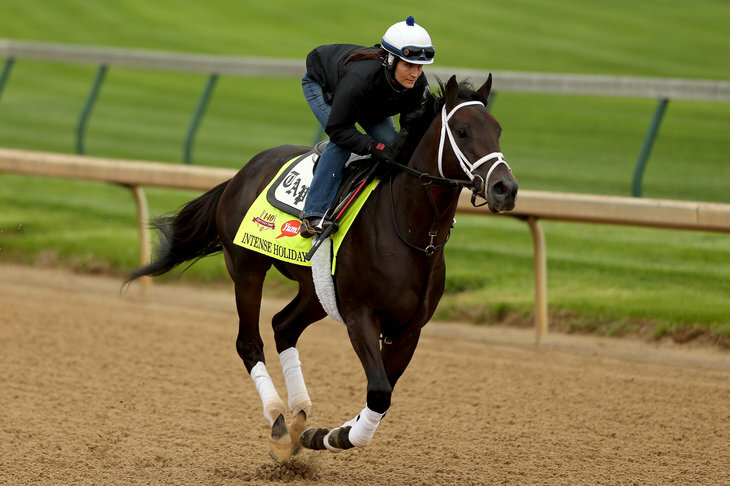 I’ll Have Another has been scratched from tomorrow’s Belmont Stakes race due to a leg injury. Thus ends the possibility of a Triple Crown winner this year.There is a press conference scheduled for 1 pm today to address the scratch and reasons behind it. 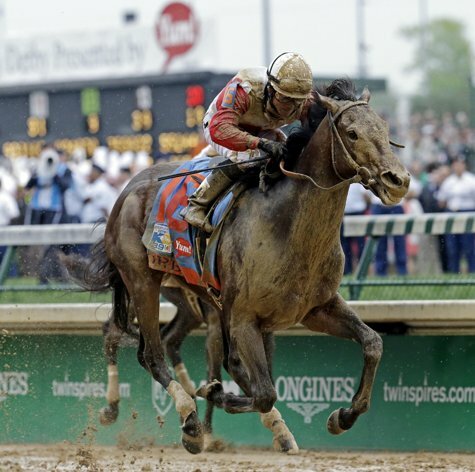 Only two other horses have won both the Kentucky Derby and Preakness, and then not run in the Belmont – but that was before the Triple Crown title was such a prestigious goal.